AloeSoft body lotion is a non-greasy formulation enriched with Aloe Vera and Cucumber extracts that not only moisturizes but makes skin feel refreshed and comfortable. 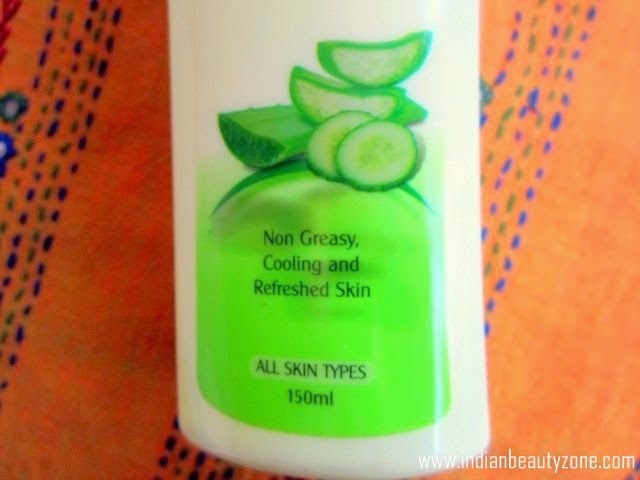 It is enriched with Aloe Vera that soothes dry skin while Cucumber has a cooling effect. Apply liberally all over the body, ideally after a shower or bath on damp skin for best skin softening, sealing in the moisture. Focus on dry or stretched areas such as elbows, heels and knees. Can be used any time your skin is feeling particularly parched and dry. The packaging is nice and sleek. It comes in a very light yellow and green plastic bottle with a pump dispenser. It is so much more convenient to use than the normal bottles. The nozzle can be locked by turning it to the side. So the lotion can be carried in bags without fear of leakage when you are on the go. The white body lotion has a refreshing cucumber fragrance which I like a lot. The fragrance lingers on for quite some time. The consistency of the product is light; neither too thick nor very runny. 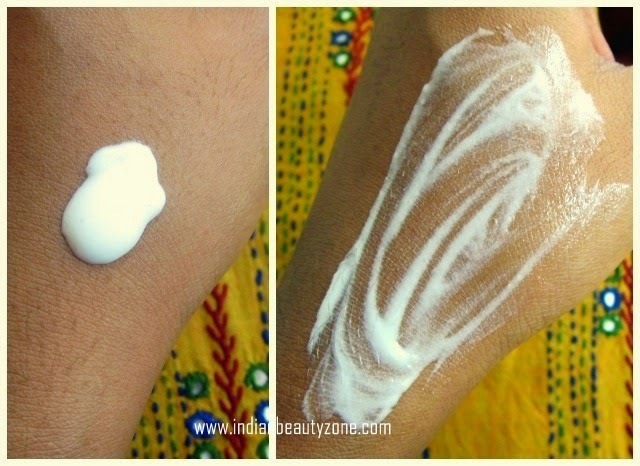 It spreads easily on the skin and a little amount is enough to cover you arms and legs. I have been using this bottle for so many months now and still it is not empty. It absorbs quickly and there is no sticky feeling afterwards. The skin is supple and hydrated without looking greasy. 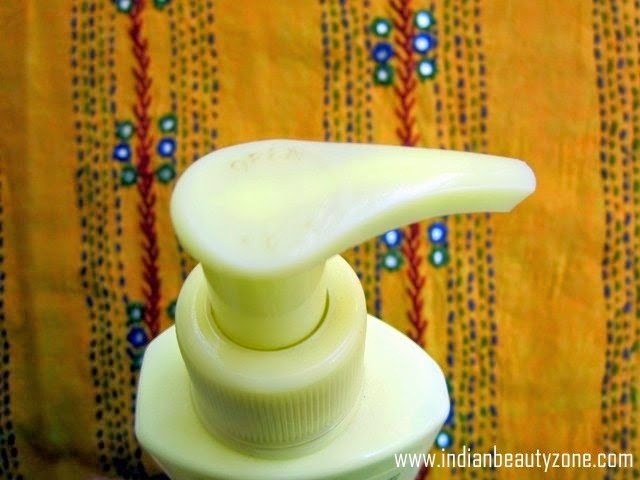 This may not be sufficient in winters if you have dry skin and need an extra boost of moisture. But I love using this all round the year since I don’t have very dry skin. 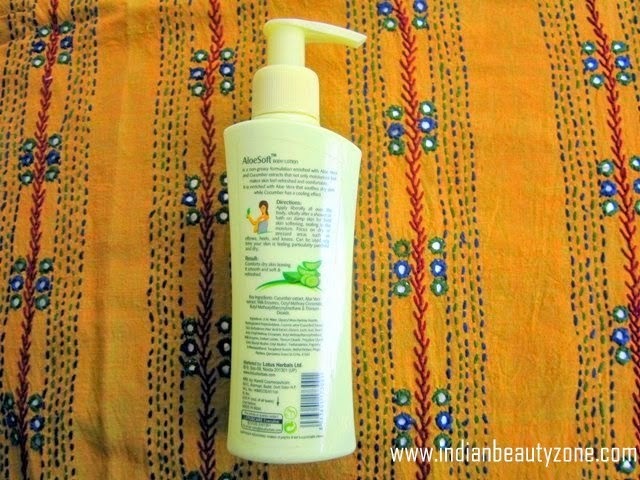 This lotion also provides protection from the harsh sun rays since it has spf20. I use this whenever I go out under the sun. It effectively prevents the skin from getting tanned and also soothes the skin if you have a burning sensation. 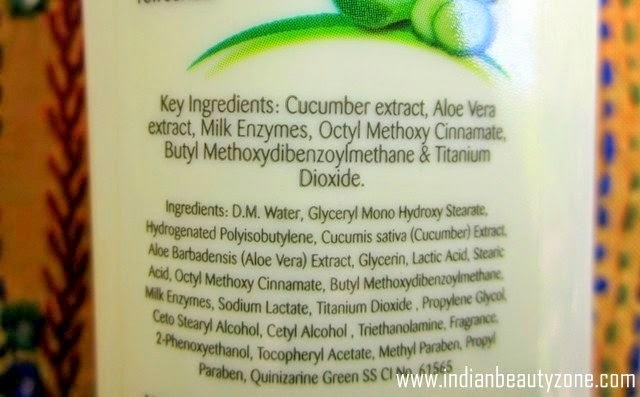 • It contains parabens, but so does every other product. I don’t want to be too picky. I just love this one! 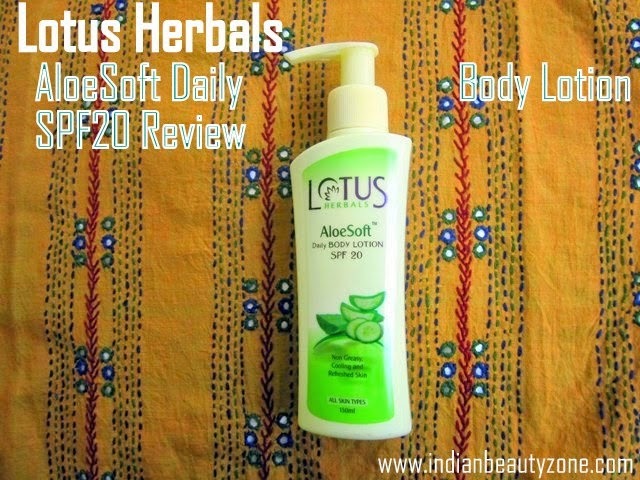 Lotus Herbals AloeSoft Daily Body Lotion SPF20 is a totally economical and worthy product and I would give it a 10 on 10. This is going to be my favorite body lotion for all the times to come. All of you should definitely give it a try.